A low cost investment that pays high dividends in time saved, efficient use of space, and a cleaner, safer working environment!!!! $10 per year per tote. 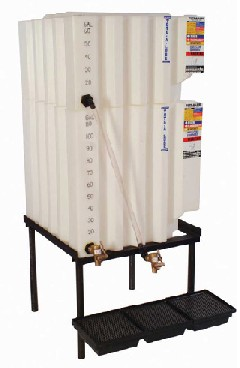 The see-through plastic allows you to see fluid levels at all times, eliminating product run-outs and down-time. Simply call FWC when product is needed! Danny Steege at (319) 240-1309.